A Darling Kind of Life: For Sale. My mind races in the same manner someone would pace around waiting for important life-changing news as I pull up this blank white screen and begin to type. I have been absent in my postings as you can see. There are several reasons to which I won't go into all of them at the moment, nor will I try to catch you up on all the adventures of the last 9 months. At some point that could happen...at some point. With Nora (who just turned 17 months) running around like a wild child, climbing everything in sight, my times to sit and post have become scarce. Today though, today I had to get on here and post about something that is taking place. A new adventure that I have such torn and mixed emotions about, but I know without a doubt that we need to do this. It needs to happen. As of this morning about 7:45am, our home that we built and have loved, went on the market. It's for sale. Over the last few years, we have really made this house into a home-our home. When building this home and going through the whole process, I never imagined selling it. I had many dreams and thoughts about raising our family and growing old here. I thought about Nora's years as she grew as well as the what if's of another baby in our family at any point. My plan though was just that; my plan. In August we took our annual trip to NC to visit family. I always make a weekend in Cary happen which is about 2 hours away from where my brother lives. This usually stretches our NC visits to about 2 weeks. Cale has come with me to Cary and he's also stayed at my brothers, just depends on the year and how he's doing. Anyways, the first morning in Cary I went to the park with Nora after visiting with a lady from WWP and as I stood looking into the water, I felt the words as strong as a voice but it came just as my thought, "Why don't we live here?" In years past, Mama and Cale had brought the idea up but it was mostly for fun and I always quickly turned it down. Home is WA. It always will be. When this thought came to my mind, I was surprised but let the idea of moving play in my thoughts. Could we actually do this? What am I thinking?? "Why don't we live here?" I sent a few links to her with houses and over the next few days talked with a few different people there. I still have no idea what was going on with me? It was suddenly this blooming thought that I couldn't shake. It started to seep into my heart and it wasn't going to leave. I at that point honestly figured that by the time we got home, the nagging idea would disappear and we would all fall right back into our normal routine. Basically, after phone calls, different conversations and lots and lots of prayer, the quick ending to a long story is that the area in NC where we are moving has many more possibilities and resources for helping Cale to enjoy a fuller life compared to where we live now. In the midst of the emotional battle as I tried to make the decision about whether we were going to actually move, I voiced that if there was any way to give my husband passion again and help give him more of a purpose in his life, I was going to do it. I would do everything I could to make that happen for him. Showings have started. Life is a bit crazy. We're sad and happy. We're nervous and excited. We're packing boxes and moving to NC. The Lord has been leading every step of the way. It's been exciting to watch this process unfold. Please be praying for transitions for all of us. 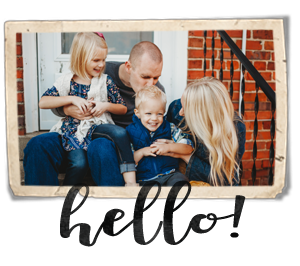 As many of you know as you've followed this blog, change good or bad is hard for Cale. He's talked about being excited about the move and really wanting to go. He's talked about different opportunities that he has to look forward to, but like all of us, it can be emotional. I'll try to keep updates going! As you know, I am so excited because you will be so close to me! I am already dreaming about having coffee or tea with you, praying with you, encouraging Cale, and getting to know little Nora! But...more than my excitement and what I want (and you being like 35 minutes from me) I want what God wants for your family and I am praying He continues to lead each step of the way. I pray He opens and closes doors according to His will for your life! You continue to stay in my prayers and I look forward to see what God is going to do! wow! that is big news! What a great adventure. Will be praying especially during transitions, moving can be stressful, but It also is wonderful when you know its what God wants!! Good to hear from you. I don't remember if I gave you our phone number, it is 919-569-3500. Please call if there is anything we can do to help. Email is jeanius3@live.com.